North Korean leader Kim Jong-un could take a train to Vietnam for his second summit with U.S. President Donald Trump in Hanoi on Feb. 27-28. But that would mean a 4,023 km three-day trip on a special train across China to northern Vietnam. Reuters on Wednesday quoted security and logistics officials in Vietnam as saying Kim is likely to arrive by railway. He would have to leave Pyongyang "later this week in time for his planned Feb. 25 arrival," Reuters added. The train would probably stop at Dong Dang station in the northern Vietnamese border town of Lang Son, from where he will travel the remaining 170 km to Hanoi by car. Kim Chang-son, Kim's de facto chief of staff, already checked security at a railway station near the border with China on Sunday, Kyodo reported. Fuji TV also reported a visit to the railway station in Lang Son by about a dozen North Korean officials. U.S. website NK News said Tuesday there are speculations that he may follow the route his grandfather Kim Il-sung took when he visited Vietnam some 60 years ago. The regime apparently prefers an overland trip for Kim Jong-un for security reasons. Chinese authorities can be trusted to take good care of security for him. Meanwhile, the Sofitel Legend Metropole Hotel and the state guesthouse in Hanoi are being mentioned as a possible venue for the summit. "The preferred location for the Feb. 27-28 meeting between Trump and Kim is the Government Guesthouse, a colonial-era government building in central Hanoi," Reuters reported, quoting Vietnamese sources. 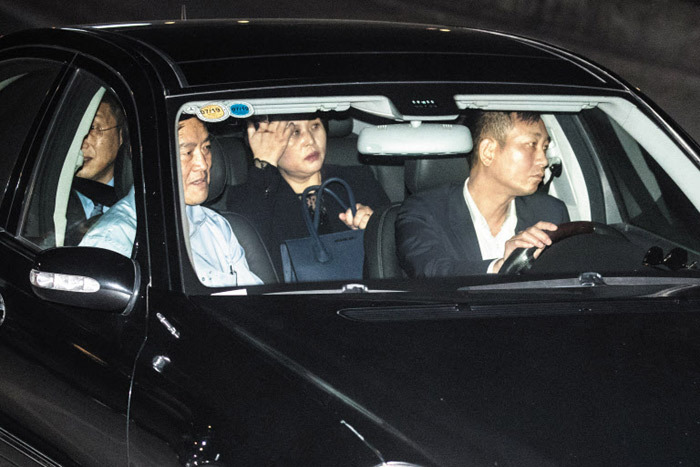 But Kim Chang-son was seen visiting the Sofitel from Saturday to Wednesday, and U.S. officials also went there several times.